Eight housing associations in Scotland are being provided with access to electric car clubs under a £510,000 investment from the Scottish Government. 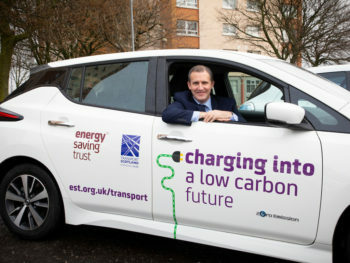 The Plugged-in Households Grant Fund, which launched for the first time in October last year and is administered by the Energy Saving Trust, will support the housing associations to procure the services of car clubs, enabling staff as well as tenants and local residents to hire electric vehicles through social enterprise Co-wheels as well as LEAP, E-Cars and Enterprise. Benefits for users include reduced membership and discount fees. The grant is also being used to provide financial support for housing associations to promote these new services locally, including in Aberdeenshire, Elgin, Fife, Glasgow, Midlothian, Paisley and Orkney.